Razer Insider | Forum - Finally got the 8.0 update after many razer support conversations! Finally got the 8.0 update after many razer support conversations! Discussion in 'Mobile' started by JayTee3, Sep 13, 2018. Finally, while ya'll just got 8.1.0, it seems I just got 8.0. Very late since its now september and it was released to US about feb/march but, better late then never. Did anyone else in Australia (or Oceania) just receive this update? Since it wasn't released in Australia at all and I'm not sure if they just solved my case or actually released it to Aus. Its 8.1.0 as well. Sick. 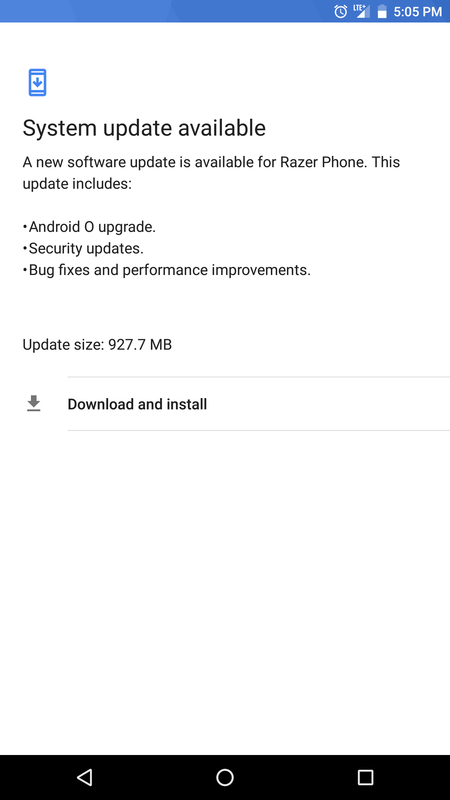 what security patch you have? oh good. then you also have the 8.1 MR2 that was released yesterday.